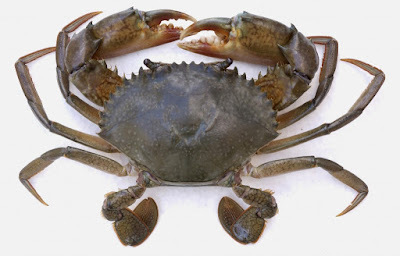 Mud crab scientific name is Scylla serrata which known as one of the most popular crab to be consumed due to the incredible big size and nice taste. 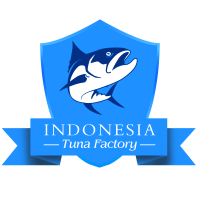 It is an important species for fish industry because it sold in high price. The crab can be found mostly in the estuaries as well as areas like mangroves of Africa, Asia, and Australia. Aquaculture and consumption of mud crab is high in market demand due to the high price, impressive size, and rapid growth rates in term of captivity. 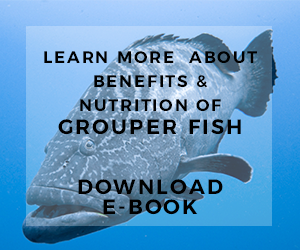 Moreover, this kind of crab has a high tolerance of ammonia and nitrates which considered being beneficial because ammonia is often the most limiting factor on a closed aquaculture system. 1. What is mud crab scientific name? The mud crabs scientific name known as Scylla serrata. 2. What are the size and weight of average mud crabs? On average, most of mud crabs can grow very big which is over 25 cm shell breadth with 2 kg weight. And for your information, male mud crabs can grow even larger than the female one. 3. What kind of color do the mud crabs have? The color of mud crabs are varies from greenish-blue, dark olive-brown, and blue-black. Their walking legs are covered with some patterns like colored dots. 4. Where you can found the habitat of mud crabs? The mud crabs can be found mostly in the rivers lined with mangroves, Queensland coast, and tidal flats. The crabs are also like to live in warm to tropical temperate waters from Bega River in New South Wales to the Exmouth Gulf in Western Australia. They are usually can be found in shallow water as well, however the berried female crabs occur well offshore. These crabs prefer a soft and muddy bottom which is often below the level of tidal. 5. What mud crabs feed on? 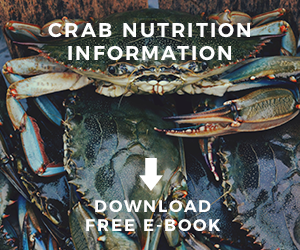 After you know about the mud crab scientific name you also need to understand what kind of foods do the crabs eat. Crabs are known as omnivorous creatures meaning that they are both feed on smaller animals and plants. However, mud crabs also known as cannibals since they can eat other crabs as well as dead fish, bivalves, and barnacles. 6. What kind of equipments do you need to prepare to catch the mud crabs? If you want to catch mud crabs then there are various mud crab traps available with different sizes and shapes including pyramid, round, net, square, and collapsible crab equipment traps. Do not use hooks and Dillys because both of these equipments are banned to catch the crabs. These crabs traps and pots can be purchased in most of fishing supplies stores. And most of crab pots now are made from string mesh. The equipments you want to purchase are up to your preference and budget. However, if you decide to buy cheap rectangular pots, even though it can be used as good as other pots, but you need to check and repair them frequently since some crabs might escape or walk out of the pots. There are two most recommended crab pots which you can buy if you want to efficiently catching mud crabs. These crabs pots are commercial pots made by Crabmaster and Bully which made by an ex-commercial fisherman in Karumba. These equipments are excellent choices to be used because the mud crabs will not walk out or escape easily. Not to mention, the equipments are also equipped with large bait-bag that built into the pot floor. 7. What kinds of crab baits that you can use to catch them? 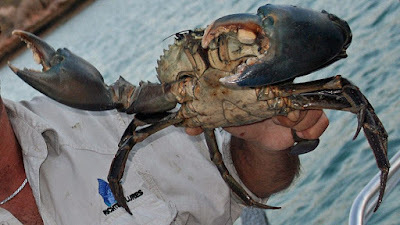 You need to know that most of crabs like fresh baits and thus many fishermen will change their baits two times a day. You can also use frames, heads, or fresh fish to tame the crabs. Other baits that you can use to catch the crabs are whole mullet, you can use the flesh. Kangaroo meats and bones or chicken carcass and necks can be used too. All of these baits are great choices to be used; however once again you need to make sure that these baits has to be fresh. 8. How do you pick a live mud crab? 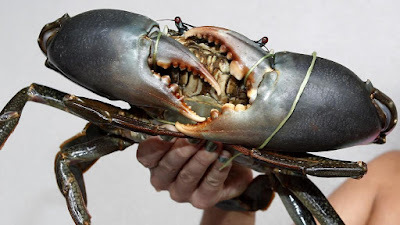 We understand that the mud crabs with very large and big claws are really scary so you might also need to know how to pick out the mud crab safely without harm the crab or yourself. First, the mud crabs are indeed having strong and robust claws along with hard shells. If you cannot be careful picking them out of the nets or traps, you might get ‘bitten’. First, you need to pick them out of the traps using your thumb and index finger. Use your fingers to hold the back base of the two swimmer legs together and carefully lift the mud crab out of the nets or traps which you set. If you use this way, the crab will difficult to attack and bite you. 9. Where is the best place to set your traps to catch the mud crabs? Catching mud crabs need some smart tricks indeed. You cannot just simply place the pots anywhere. First, you should check the weather before you go outside to set the traps. It is better to set them during heavy rain and where the rivers are high. In those conditions the mud crabs usually cannot survive in the fresh water and thus they will move out along the shallow coastal flats. If you see this condition then it is the best time to place your crab pots. 10. 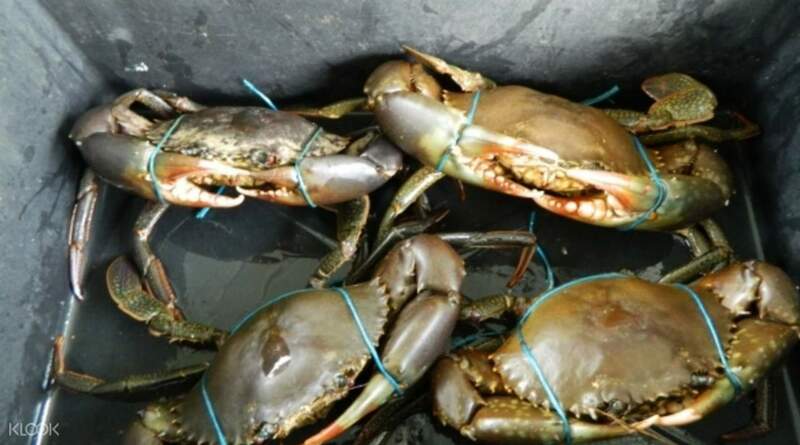 What are the rules applied by the government to catch the mud crabs? Different countries have different rules in term of fish and crab hunt. 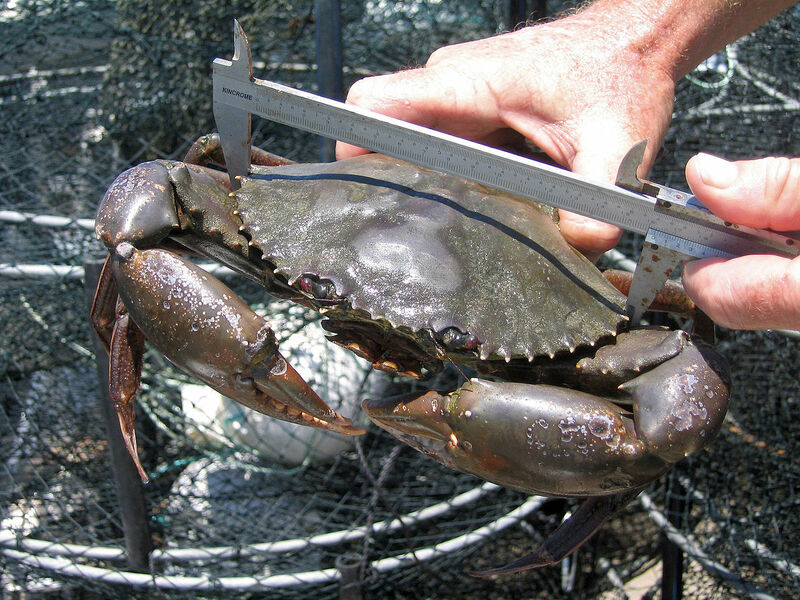 For example, in Queensland, it is illegal to catch female crabs. And there are also regulation regarding the minimum take size of the male crabs. Do not forget to always check the regulations before you want to hunt for some mud crabs. Those are some information regarding mud crab scientific name and several FAQ which is important to be noted.